Jay Miller was kind enough to have me on his show back in February, and the video is now online. Check it out! I never received any of the footage from this, so the idea of having me edit something fell through, but I had a great time. After watching this, I realize that I lick my lips too much. I also don't like the left side of my head. I'm going to crawl back into obscurity now. By the way, if you want to hear Jay and I hash things out, checkout the Super Live Adventure episode entitled "Rest in Peace, Man-E-Faces" at SuperLiveAdventure.com, iTunes and Stitcher. 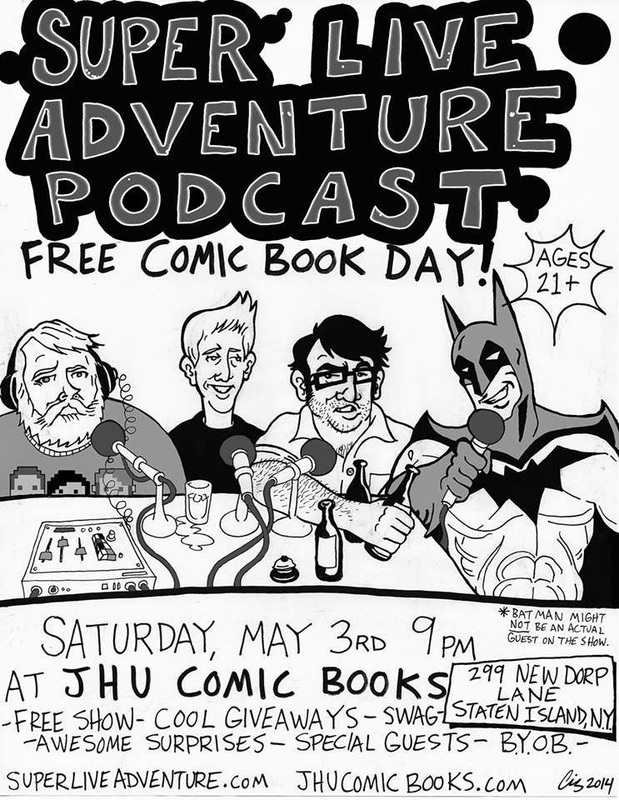 Free Comic Book Day SLAP at JHU Comic Books!